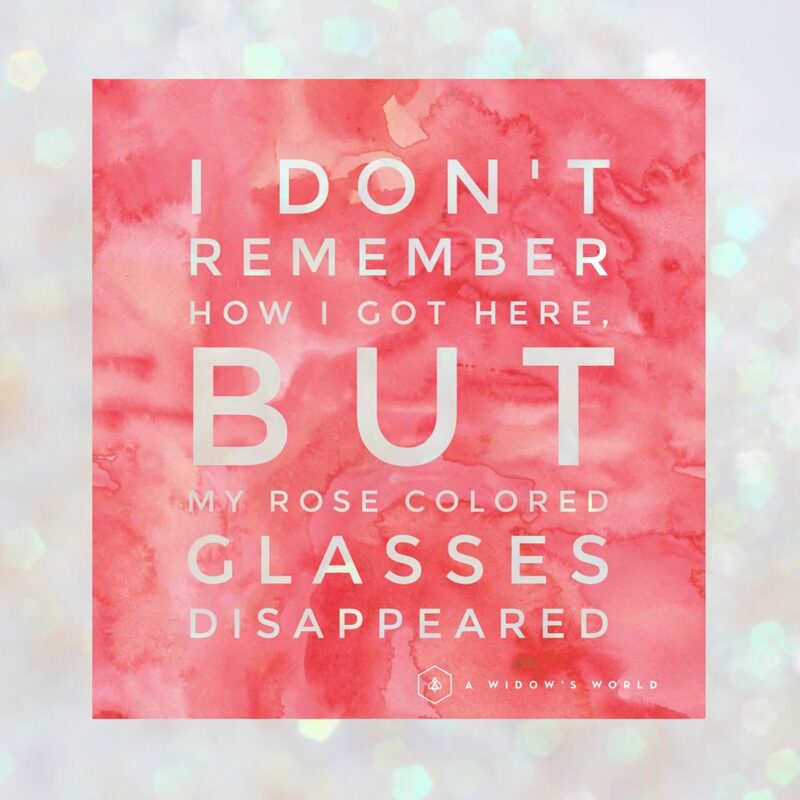 I will never see through rose colored glasses after going through the loss and life trials that I have. There have been moments I have woken up and thought how did I get here, how is time passing so quickly. Those moments help me stop, reflect and realize that through my own strength, determination and want to live, I made it to where I am at. I had to make that decision for myself, no one could do it for me. It certainly helped having the support of my family and friends and clinging to my faith. Having faith was very hard and I lost it along the way, but I’m glad it didn’t lose me. This life is hard, but it’s so worth it! That’s all I can tell you at this point in my widowhood journey. It took a lot to get here and it takes a lot to stay here. Once you find your will, your strength and your hope again, you find yourself. You will continue to get to know yourself and piece by piece you heart will become close to whole. Take the chance, you are worth it!